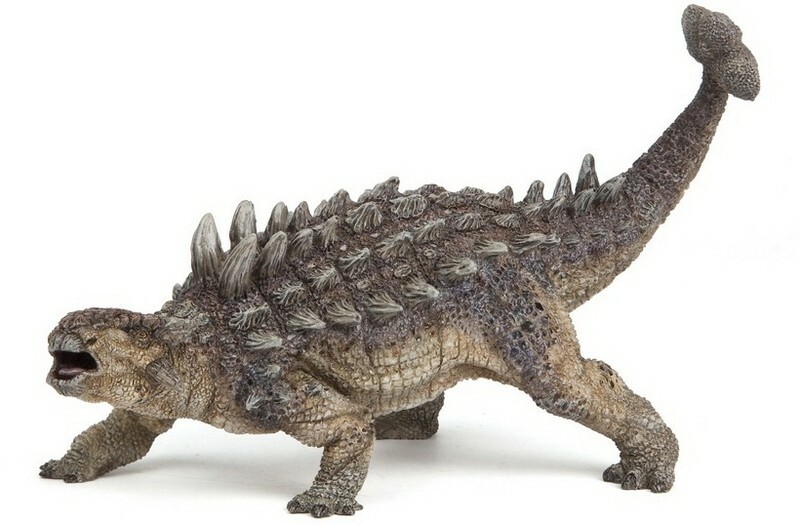 Papo’s latest entry in the Dino sweepstakes is this wonderfully posed Ankylosaurus. It’s a pose designed to discourage something bigger from turning it into a snack (as if the spiked armour wasn’t enough). This is up to Papo’s high standards and measures about 6″long. Tags: ankylosaurus, collectibles, figure, Model, Papo.